So there it is at last, the Research Bill. The title this time is “Collaborating for knowledge – for society’s challenges and strengthened competitiveness”. Where the money is concerned, most of the contents were familiar after the Budget Bill and various signals earlier in the autumn. However, it’s interesting to see the government’s line of thinking on the conditions for research and the role of research in society, and the systemic changes discernible in and between the lines. The basic appropriation will increase by SEK 1.3 billion in the period up to 2020. This increase comes with great expectations on the part of the government. Higher education institutions are to make improvements in gender equality, external collaboration and practical applications, education and career opportunities for researchers, mobility, the link between research and education, and – not least – our responsibility for increasingly costly research infrastructure and participation in EU programmes. At the same time, the government evidently wishes to spread the new appropriations among more HEIs rather than investing in the research universities that are home to most of the leading research and heavy infrastructure. If we also take into account that the basic appropriation is usually eaten away by about one per cent per year as a result of the system of incomplete salary and price indexing, it is extremely unclear whether Uppsala University, for example, will experience anything more than marginal real increases in the size of its basic appropriation over the next four years. Unfortunately, it doesn’t add up – the increase in the share of basic appropriation funding that we considered essential to be able to take increased responsibility for career opportunities and infrastructure won’t materialise this time either. There are some positive aspects. 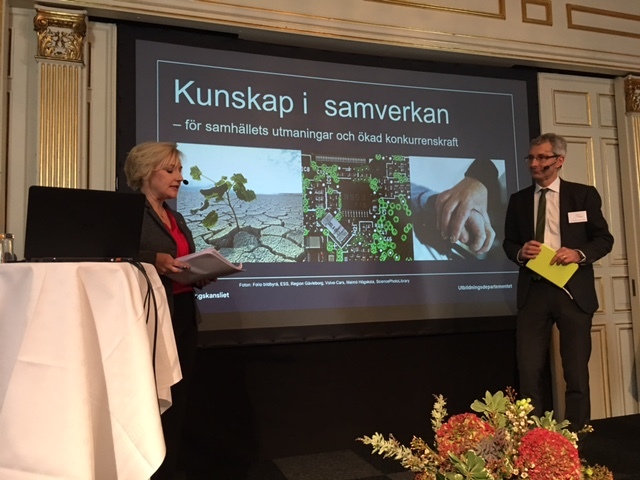 Several of the societal challenges that the government focuses on link up well with the areas that Uppsala University highlighted in our input and in our research strategies. This is emphatically the case for the ten-year research programmes planned in the areas of climate, building a sustainable society, migration and integration, antibiotic resistance, applied welfare research, and research on working life. Uppsala University can make substantial contributions in all these areas. It also applies to the initiatives for a stronger academic foundation for teacher education and schools, even if we would have liked to see more than a modest pilot project for combined appointments in academia and schools. Otherwise, the key word in the government bill is collaboration. The planned initiatives linked to societal challenges such as the climate, digitalisation, health, building a sustainable society, and schools take collaboration as their starting point. The performance of HEIs in the area of external collaboration will have an increased influence on the distribution of the basic appropriation. We are seriously concerned about this last point. External collaboration is important – for the universities, the business sector and society alike. 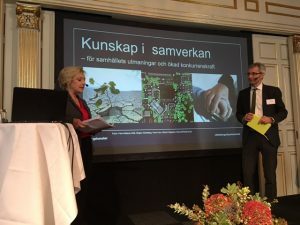 However, attempts in recent years to develop models to evaluate performance and quality in the area of external collaboration, under the auspices of Vinnova, have not generated data that can reasonably justify decisions on resource distribution. There are no good indicators for collaboration, and the assessment risks being arbitrary. The proposal to make the Swedish Higher Education Authority responsible for continued work on research quality assurance is interesting, but entails a drastic change in the Authority’s duties – and the skills it needs. The government mentions a number of issues in the research bill that it plans to come back to. We had expected some clarifications regarding internationalisation and the possibility of participating in international cooperation. Resource distribution and management are other issues that will be examined in special inquiries. Given the current state of government finances, we hardly counted on the government being able to manage major new initiatives. From that perspective, the overall level of the initiatives announced in the bill are in line with expectations. Having said that, the relatively modest investment in augmented basic appropriations, particularly combined with the distribution pattern announced, gives cause for disappointment and concern if we want to defend the ability of Swedish research universities to hold their own in the upper echelons of the global ranking lists. Perhaps it is significant that this is the first research bill in modern times that does not contain the word ‘research’ in the title.